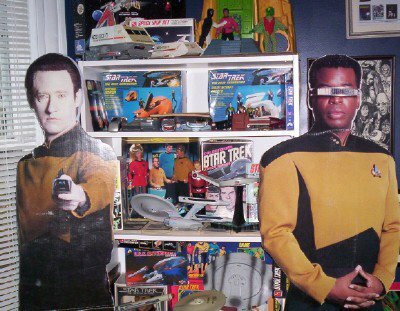 It's good to see our plas Data and Geordi hanging out in your office! I also like seeing those Galoob TNG ships boxed on the shelf. Lily and the gang should be nice to Geordi because he was nice to Spot when he went to visit Data!